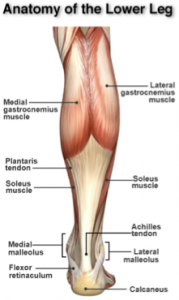 The Achilles tendon attaches the plantaris, gastrocnemius, and soleus muscles to the calcaneus (heel) bone. It is also one of the largest tendons of the body. Aside from attachment, tendons play an important role in the transmission of force from muscle contraction. However, tendons do not receive good blood supply or cellular activity, and thus, injuries to tendons are slow to repair. Damage to the Achilles tendon tends to accumulate over time, leading to a condition of inflammation. This can present as aching or pain over the affected ankle, which can also be accompanied by swelling and limitation of motion. Athletes in sports that place a lot of strain on the Achilles tendon, such as runners and jumpers, are more prone to suffering this condition. What is the standard treatment for Achilles tendonitis and tears? The conservative treatment for Achilles tendonitis involves rest, compression, ice therapy, and elevation of the affected foot. This may also be accompanied by treatment with non-steroidal anti-inflammatory drugs (NSAIDs) to reduce swelling and inflammation. There are also other conservative treatment options, including physical therapy and rehabilitation, to improve the strength and conditioning of the calf muscles and tendons. If after six months with conservative treatment, there is still no relief of symptoms, surgical correction may be entertained. 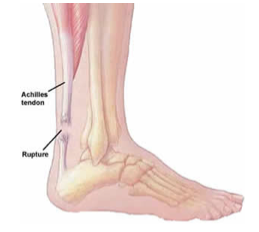 Achilles tears occur due to either sporting injuries, trauma or from chronic degeneration. Individuals may suffer either a partial tear or a complete one. For those with partial tears, regenerative medicine treatments with stem cell therapy may be indicated and help prevent surgery. How are stem cells used in the treatment of Achilles tendonitis and tears? Tendons are poorly vascular, and do not receive the same amount of blood supply and cellular activity relative to other areas of the body. This results in healing that is not as effective, and even surgical repair may fail, leading to persistent complications. Research has shown that stem cells hold great potential for the treatment of conditions such as Achilles tendonitis along with partial or full tears. Stem cells have the ability to differentiate into multiple types of tissues; they can promote growth and healing of damaged areas. It is also thought that treatment with stem cells stimulates the release of repair and growth factors. This is particularly important in poorly vascular tissues such as tendons. Stem cells can also be harvested from multiple sources, such as the amniotic membrane/fluid, bone marrow, adipose tissue, and others. A study done on rats has shown that repair of the Achilles tendon with sutures bearing stem cells have improved outcomes, such as faster healing times and stronger tissue structure. The injection of mesenchymal cells near damaged tendons significantly improved the healing of tendonitis. This was evidenced by improvements in the histological examination of tissues, decreased lesion size, improved tendon size and a more regular, linear fiber pattern when compared to controls. For those dealing with chronic tendonitis and pain, surgery may be avoided with regenerative medicine treatments. This actually applies to those who are being treated with a cast as well, since the stem cell injections may facilitate faster healing of the injury. Int. 2014 Mar;35(3):293-9. doi: 10.1177/1071100713519078. Young RG, Butler DL, Weber W, Caplan AI, Gordon SL, Fink DJ. Use of mesenchymal stem cells in a collagen matrix for Achilles tendon repair. J Orthop Res. 1998 Jul;16(4):406-13.